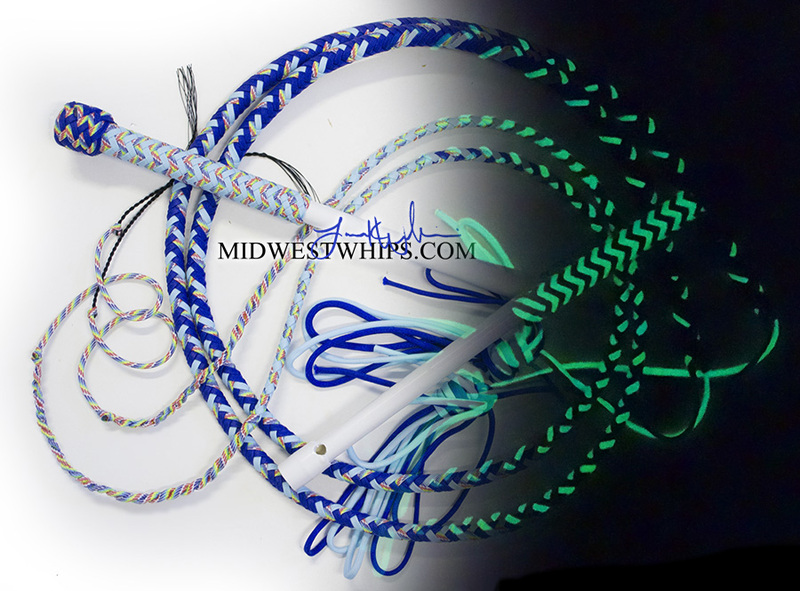 This is a matched pair of standard length performance hybrid nylon whips made entirely from light blue glow in the dark parachute cord. For maximum visibility in all stage conditions, the white handle bases also have a light dusting of glitter. Happy twisted cracking, Rotten Brothers! 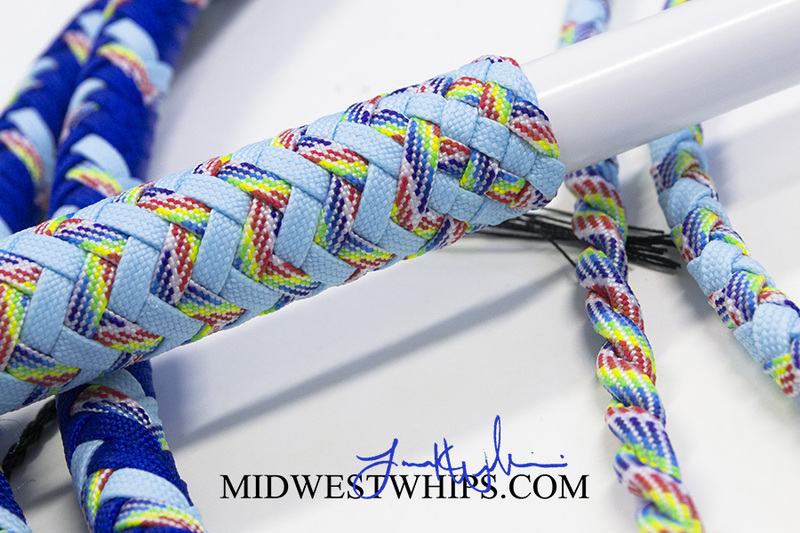 I made this custom matched pair of PH Whips for Amanda based on the Rainbow Brite Inspired Whip she saw over on the Snignal Whip Photo Gallery Blog. 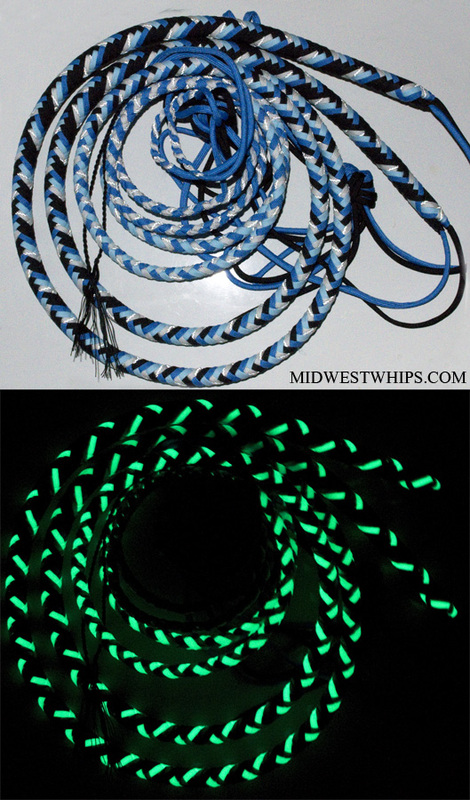 But instead of using plain old white paracord for one of the thong’s accent colors, Amanda wanted something that would glow in the dark! 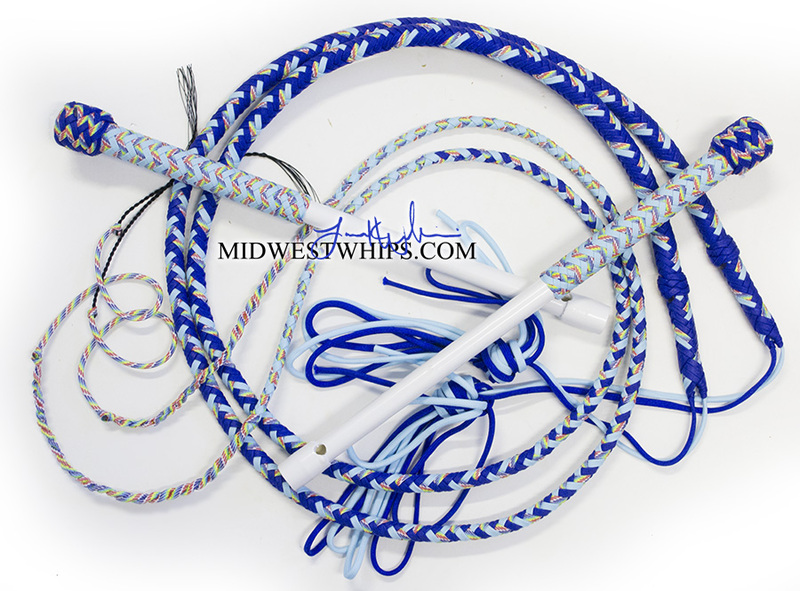 The colors used in this Custom Performance Hybrid Nylon Whip pair include: White Rainbow, Light Blue Glow-in-the-Dark, and Electric Blue. If ever you see a color here on the blog that isn’t listed on our standard color chart, it might be a specialty color that we don’t always have in stock but can sometimes order upon request. If you’re interested, just ask. 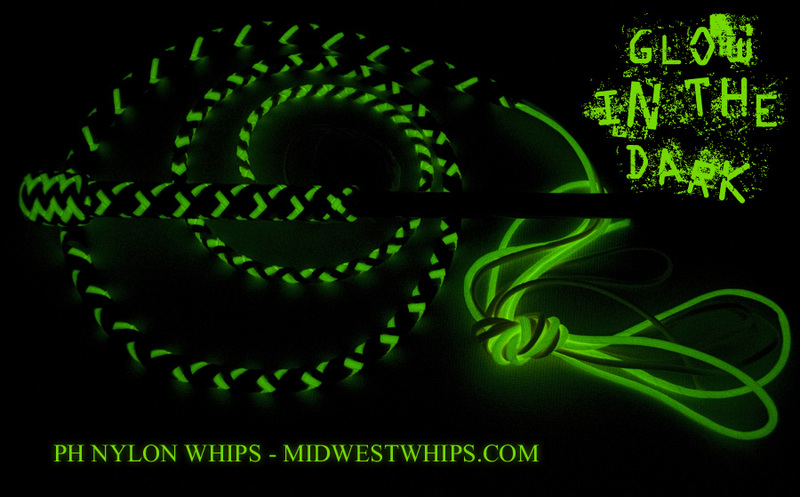 Visit MidWestWhips Whips In Stock Page to see if we have any whips in stock.